Yo ho, yo ho, a pirates life for me! Every night when Tom Mason and the Blue Buccaneers perform their audiences have the chance to live the pirate life while this band plays its tunes. The wild band of Nashville musicians dress like pirates and act out the role as well while playing a rollicking mix of piratical sing-alongs, rousing historical rave-ups, Afro-Cuban tinged ballads, Cajun sea shanties, and bluesy Irish jigs, all celebrating the days when the seas were ruled by great sailing ships. 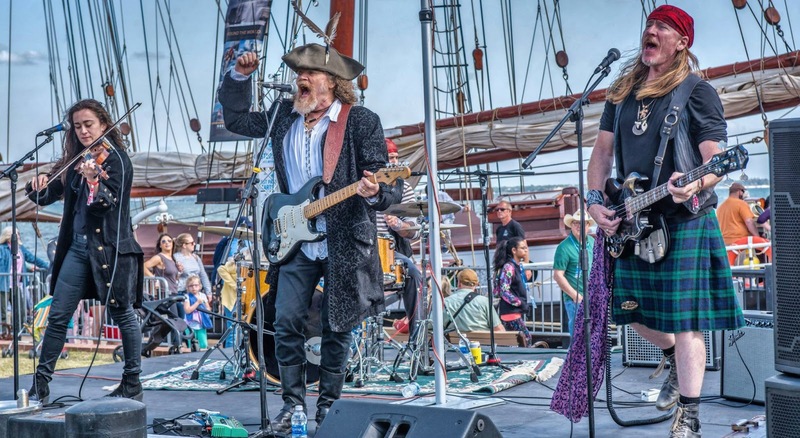 Their energetic performances and outlandish pirate garb are always a hit with kids while parents will enjoy the rambunctious pub band attitude of Captain Tom and his Blue Buccaneers. With a playlist of all ages friendly content, this is a band that is sure to entertain the entire family. In honor of Talk Like a Pirate Day, Captain Tom has shared with ageekdaddy.com his pointers on speaking like one of his Blue Buccaneers. "If you are shy and need some nerve, talk like a pirate!" Captain Tom recommends. Enjoy this video of Captain Tom's Talk Like a Pirate Day tips then take a moment to enter our giveaway for his band's new album If You Want To Be a Pirate: Songs for Young Buccaneers. I was impressed that If You Want To Be a Pirate: Songs for Young Buccaneers' songs have the quality of being enhanced by multilayered instrumentation – from accordions to violins – and are full of jolly harmonies. The album starts listeners off on their musical pirate adventure with the aspirational and welcoming title track. Next up, the song “It’s a Lot of Work To Be a Pirate,” confirms the bilgey deck-swabbing reality of life aboard a sailing ship. Listeners meet “Kristofer the Kindly Kraken” and “The Parrot of a Pirate.” There’s no sign of rum in the kids’ version of the Blue Buccaneers hit “In the Drink” included on this family friendly album. Captain Tom and his crew have some interesting message in a bottle style lyrics to share with their Mateys. One tune bemoans the state of the world’s oceans and “messy humanity” when “You Can’t See the Treasure through the Trash.” They also share with all the “lusty lads” and “lively lasses” listening how to instantly “Talk Like a Pirate” (a song written with Talk Like a Pirate Day co-founder John “Ol’ Chumbucket” Baur). Time moves swiftly in a pirate’s life. Before you know it, you’re “Sailing On” with the wind. This is one of my favorite all ages albums released this year. 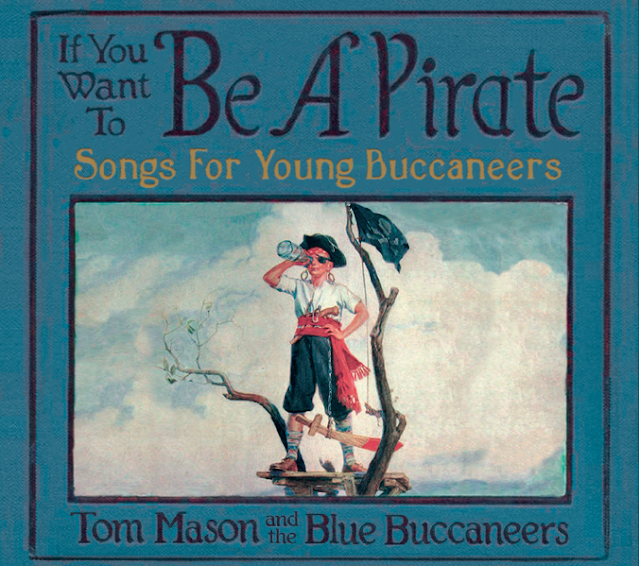 So I'm excited that Captain Tom and the Blue Buccaneers have provided an album to giveaway to one lucky winner. Hey my matey! Who wants it? Just complete the rafflecopter entries before October 10, 2018 at 11:59 pm EST for a chance to win. Must be a United States resident, over 18 years old, wear an eye patch and have a wooden peg leg to be eligible for the giveaway. Ok ignore the peg leg and eye patch requirement, I was just checking to see if you were reading the rules. Good luck!